This article is the third and final in a series concerning the ocular surface. The outermost lipid layer of the tear film provides a smooth ocular surface for proper light refraction and helps prevent the evaporation of the tear film. The layer consists of meibum supplied by the meibomian (tarsal) glands of the third eyelid. These tubular-acinar holocrine glands continuously release meibum independent of eyelid movement. Their orifices lie along each eyelid margin and meibum is evenly spread across the entire ocular surface with each upward blink. When an eyelid is closed, the lipid layer of the tear film is compressed and a small portion of meibum flows over the eyelid margins. The flow is directed forward as surface tension prevents the lipids from flowing under the palpebral side of the eyelids. This continuous flow prevents the introduction of sebum (from the skin and eyelashes) and other contaminants into the tear film. Meibum also restricts epiphora (the overflow of aqueous tears) at the eyelid margins. As humans age their tear film break-up time (TFBUT) shortens, probably due to a decrease in the production of meibum. It is probable that aging canines also decrease their production of meibum, predisposing some lagophthalmic and/or brachycephalic canines to recurrent ulcerations after 7 years of age. These patients often display normal or increased tear production as measured by the Schirmer tear test. A TFBUT test can determine if these animals have a tear quality, rather than tear quantity, disorder. One of the most common causes of meibomian gland dysfunction in veterinary patients is blepharitis (Figure 1). Blepharitis describes inflammation of the eyelid margins, whereas dermatitis or eczema (Greek for “eruption”) is any inflammation of the skin. Blepharitis causes cosmetic alterations and discomfort at eyelid margins as well as disruption of the tear film. Meibomianitis (inflammation of the meibomian glands) is also often asociated with blepharitis. These eyelid margin diseases diminish lipid production amplifying the evaporative rate of tears which results in a drier corneal surface. Bacterial colonization of both meibomian glands and eyelash follicles may follow causing further degradation of the tear film. Treatments for blepharitis are directed at combating underlying infections and subsequent inflammation. Many blepharitic patients require treatments designed to alleviate their allergies. Warm compresses applied to blepharitic eyelids for 5 minutes 2-3 times daily can help unclog meibomian glands. The lipids of the tear film may require supplementation with a product such as NanoTears (Altaire Pharmaceuticals) which supplies both polar and non-polar lipids. An artificial tear ointment with petrolatum and mineral oil (Puralube, Fera Pharmaceuticals) is a good secondary choice to increase stability of the tear film. As with all tear film disorders, most cases involving deficiencies of meibum are manageable but not curable. However, their treatment can also help prevent blindness and pain. If you have any further questions concerning ocular surface disorders, please feel free to consult with a veterinary ophthalmologist. 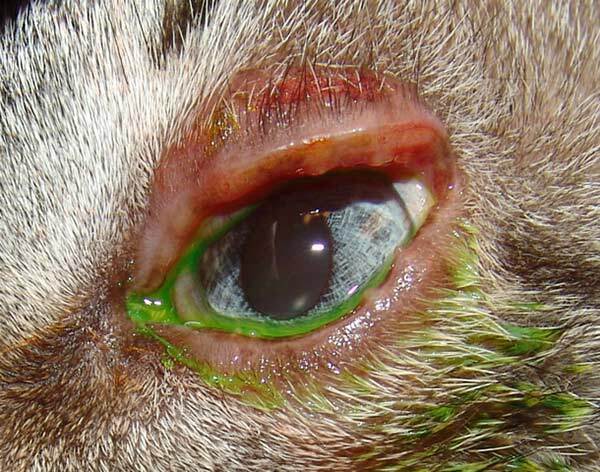 Figure 1: Blepharitis in the left eye of a 3 year old castrated male domestic short-haired cat.